I took these photos in Fredericton, likely while walking to UNB and CHSR to do my radio show on 4 April before I flew to Budapest. My camera can take close-up shots. 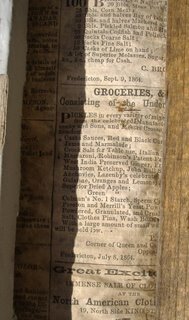 I got a few that show readable details of that newspaper. This one has classified ads for fish products and grocery supplies. 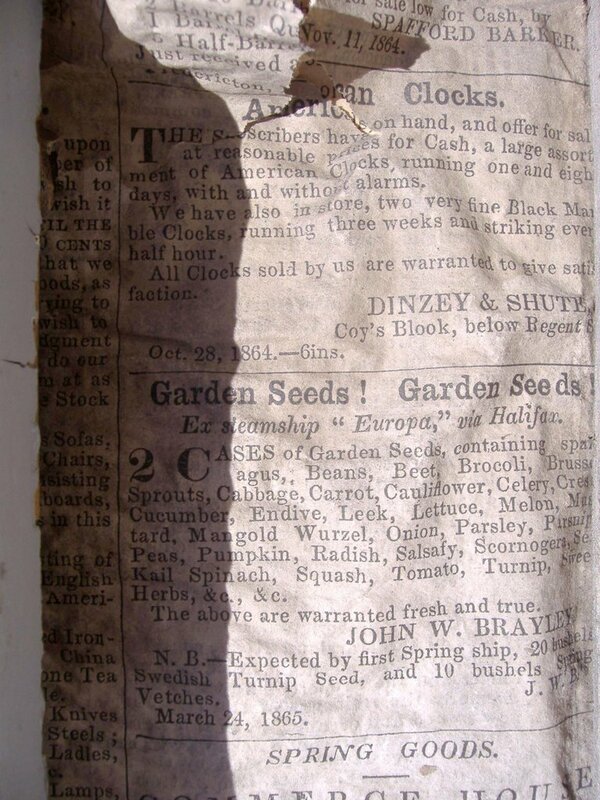 American Clock and garden seed available for purchase by one and all. 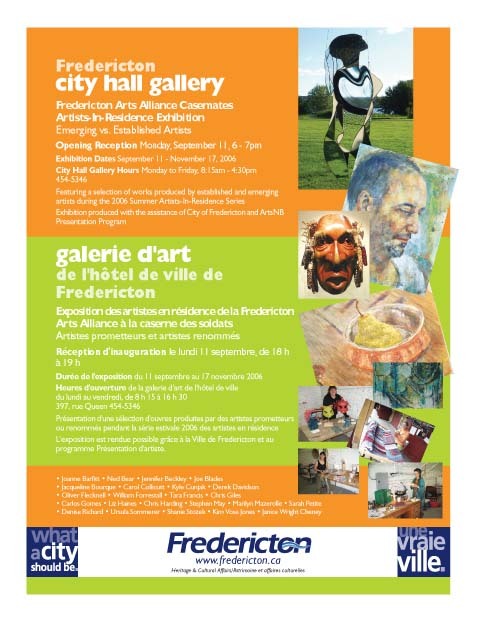 As hung in Fredericton Arts Alliance Casemates Artists-In-Residence Exhibition: Emerging vs. Established Artists in City Hall Gallery, Fredericton, here is the finished collaborative platter by Ursula Sommerer and me. It looks great. I want to see it in person. Photo by Liz Haines. Thanks! Just "heard" (read in an email) today that Ursula and family will be leaving Fredericton as her husband, Bob (or Dr. Robert) Kavanaugh, has left his position at the New Brunswick College of Craft and Design for a position at Dawson College in Montreal. They will be missed: two potters who are active and really do stuff. Confusion seems to abound on where I am these days. 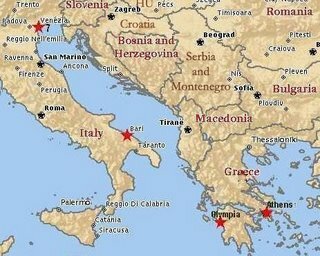 Few family or friends seem to be able to visualize the Balkans well enough to have a clear picture. My grandmother thinks Beirut or Belfast when I've mentoned Belgrade or Beograd. 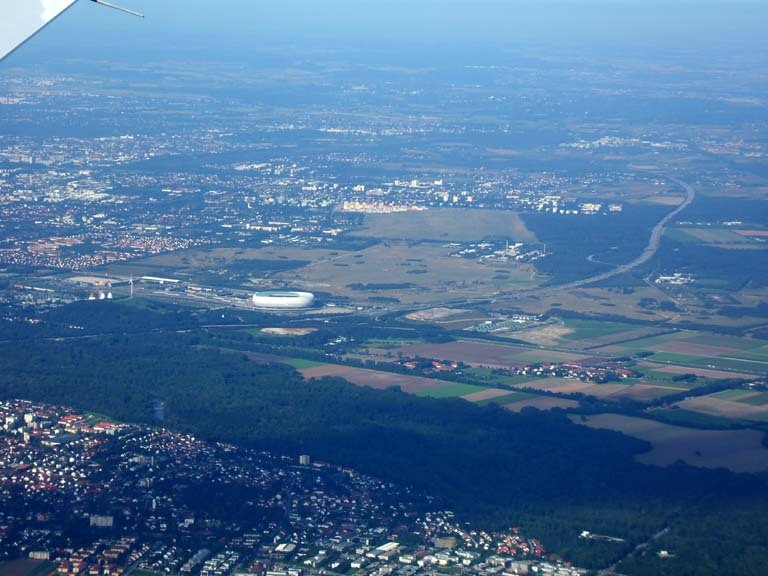 My flying in and out of Budapest, Hungary has only confused her more . . .
Not even certain that they will help, today I am posting three maps to help locate me. 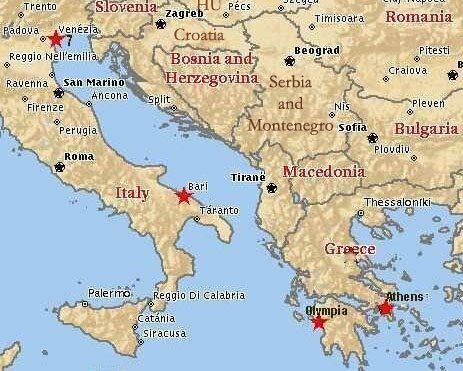 If one can visualize or find an older map or globe that shows the former federation of Yugoslaviaon the eastern shore of the Adriatic Sea, in the Mediterranean Sea, east of Italy, south of Hungary, north of Greeceit would be the basis for the simplified map below. Serbia now stands alone from its recent economic & political association with Montegegro (Crna Gora) since Montenegrans voted in a May 2006 referendum to go it alone en route to joining the EU. Serbia is now a landlocked country. Its surface area of 88,412 km sq is 1/113th that of Canada. 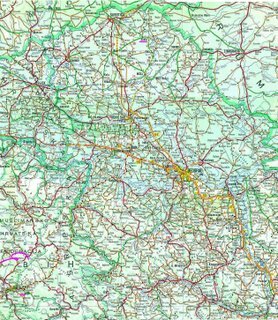 On the simplified road map below I have added both Senta, Serbia in the north (where I am living) and Pale, Republika Srpska (where I am teaching) to the west of Serbia in Bosnia and Herzegovina (BiH). The area within the thicker blue line is shown in considerable detail on the third map. Click on the map below to enlarge it to optimum size. 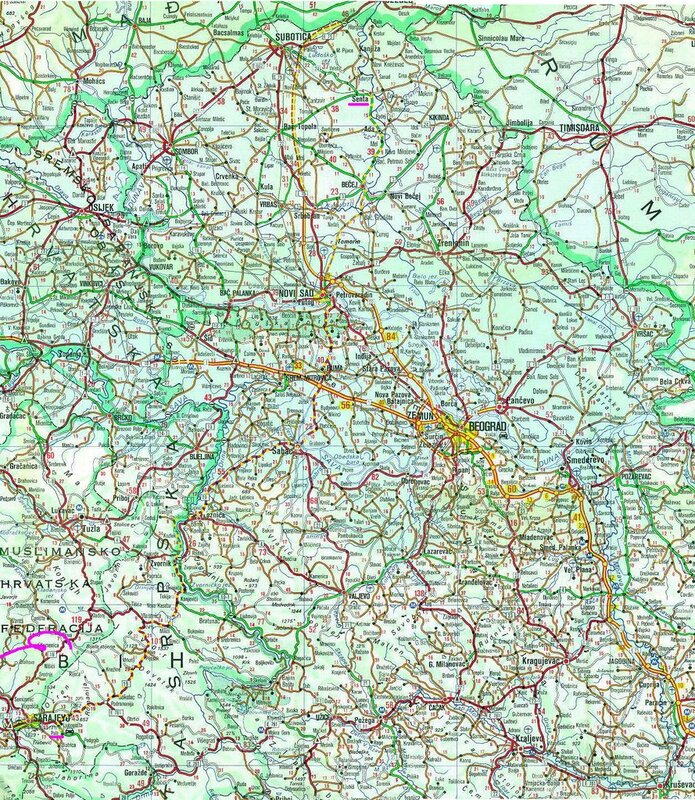 Senta (west of Subotica) and Pale (west of Sarajevo) are underlined in pink. A line of yellow dots has been placed on the road route of the bus from Senta to Novi Sad and then of the van to Pale. Most times that van travels from Beograd (so I'll be busing there first). 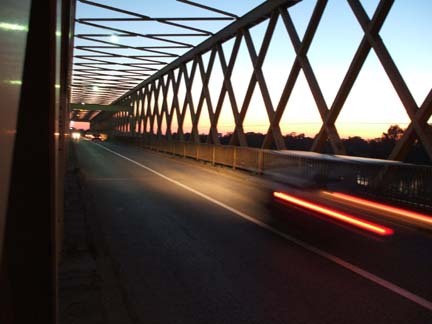 We always cross the Serbian border at Loznica and, if coming from, or going to Beograd, we take the Beograd-Zagreb tollroad between the Ruma exit and the Beograd airport. It's a good six hour drive plus break(s) from Beograd or Novi Sad to Pale: cobblestone main street through some towns, farm tractors, horse wagons; narrow, twisted roads over the hills and mountains with no slow vehicle lanes, and alongside the reka Dria with it's numerous cliffs, tunnels, and the ruins of an old Turkish Ottoman fort. Winter snows (have heard that Pale gets 3-4 metres of the white stuff) and weather will make for a longer drive. I knew before I left Canada that I would want access to a bike to continue my active riding for exercise, for getting about and seeing the town of Senta and the surrounding countryside. After my arrival, I was told that there were two Russian-made bikes in the garage that JA's parents (and likely grandparents) used around town. I went looking in the adjacent storage shed full of old furniture, scrap wood, car parts, toys, etc. Found them! Old-looking bikes, they look like the frame is hinged and bolted together. They're hand-painted over the old grey-green original colour; one mostly red; one mostly bright green. One bike smaller than the other. Both have small wheels. 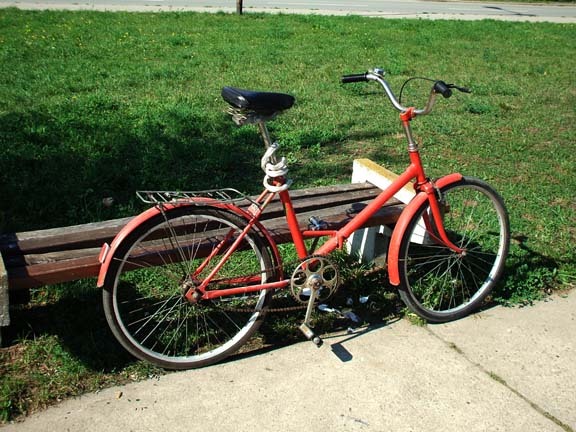 I had to buy an adjustable wrench in the open market to loosen and raise the seat for my long legs, to change its tilt to horizontal, and to tighten the pads on the pedals. They have no gears. I guess one could say they are one-speed bikes but, really, they're just bicycles. Ones with only a simple front wheel hand-lever brake that is very soft, whines, and is slow to bring the bike to a stop. Thankfully, there's not much in the way of downslopes and hills in, or around Senta. None really, just the slopes of the built riverbank walls in town, access to both ends of the bridge, and riverside dykes. Today, I biked upriver out of Senta. Above the 129 km post on the dyke was a red tractor and high wagon with a crew of four men loading bales of hay cut on the sides of the dyke. It was a very warm afternoon and very, very quiet out there. Amazingly quiet, except for occasional commands from the men with pitchforks spearing bales, and the unseen frogs. 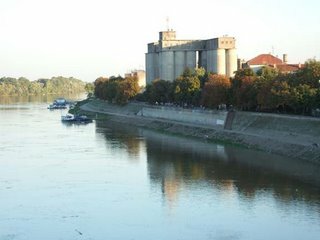 Presume that the 129 means 129 kilometres from the river mouth, where the reka Tisa joins the reka Dunav (Danube). Unexpected found two dead snakes flattened and dehydrated on the sun-baked tires tracks atop the dyke. I wonder just how far upriver, out-of-sight from Senta, around the bend and further, is the next bridge? Could I make cycling trip loops? 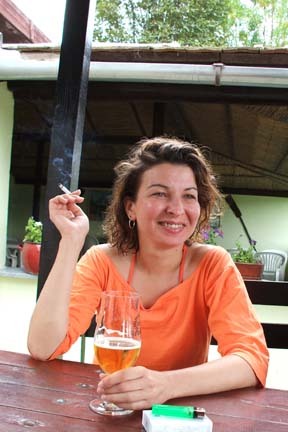 Sevali macevi . . .
One for the Gagetown MAC club members back in Lyndhaven and other medievalists. 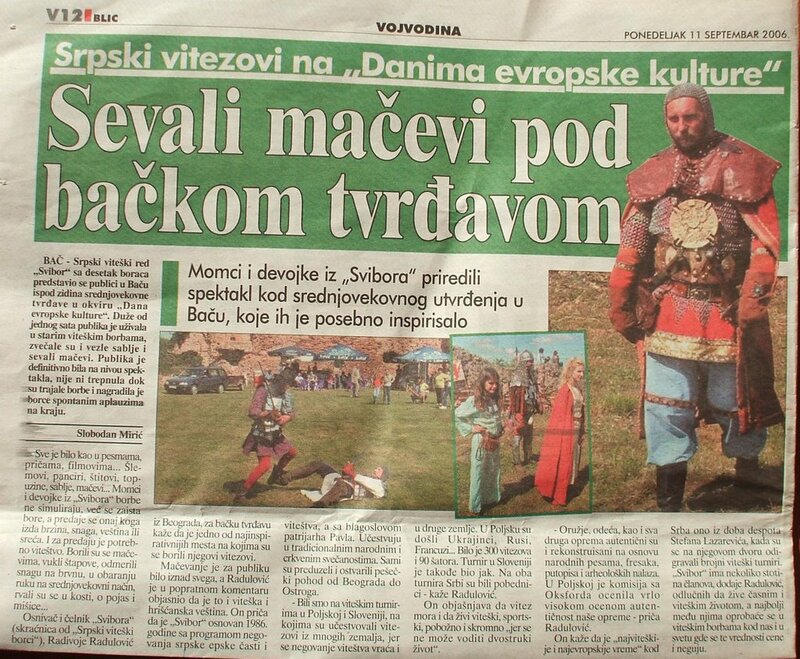 Found this yesterday in the Blic newspaper of 11 Septembar 2006. An ability to read Serbian would be useful for the text. 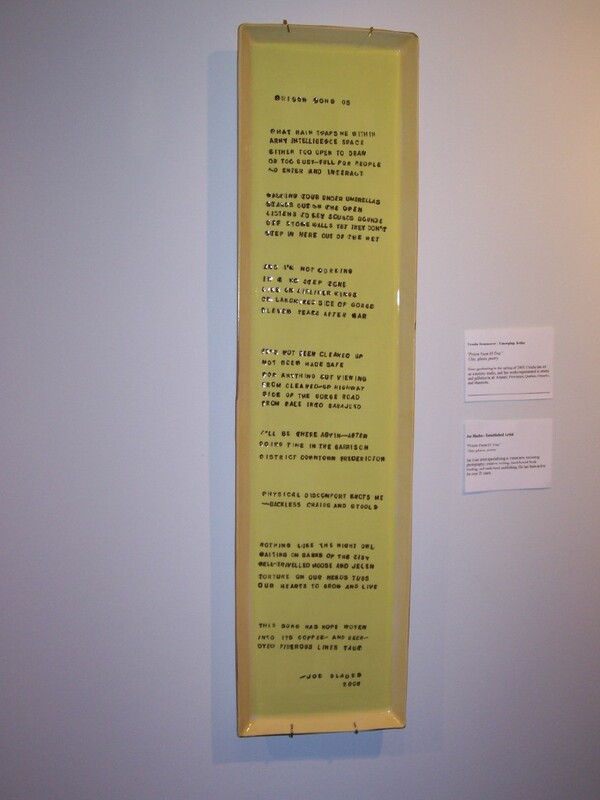 I'll try to get a condensed translation here a.s.a.p. Zelijko, in the red shirt, is the Filozofski Faculty's driver who collected me outside the Novi Sad bus station. One of the professors from Beograd is seen here in the van, a Volkswagon Transporter. Eventually, Zelijo has rounded up seven of us in Beograd and Novi Sad for this week's run to Pale. This is a dusk photo of the Filozofski fakultet building opened for or during the past university year (months before I visited in April). To its right [not pictured] is a similiarly constructed law faculty building in browns. 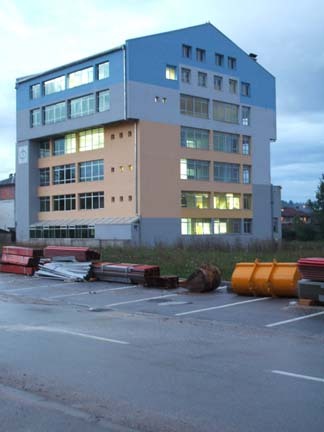 These two buildings constitute the whole of the campus of the Univerzitet u Istocnom Sarajevu (University of East Sarajevo). I believe that there still exists some sort of affiliation between this university-campus and the now mostly-Muslim populated University of Sarajevo (but I'm really not clear about that). Elsewhere in Pale, I've been told, are student accomodation buildings. The professor apartment that I was in is one of several located on the nearest corner of the highest full floor of the building. 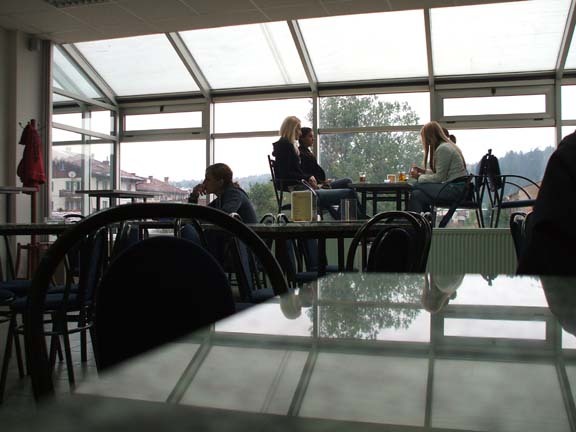 Morning in the ground floor caffe in Filozofski fakultet building with several students in the raised seating by the windows. Inside the clean (but it's so very new, that even in April these rooms were not available) but very basic apartment. No television. 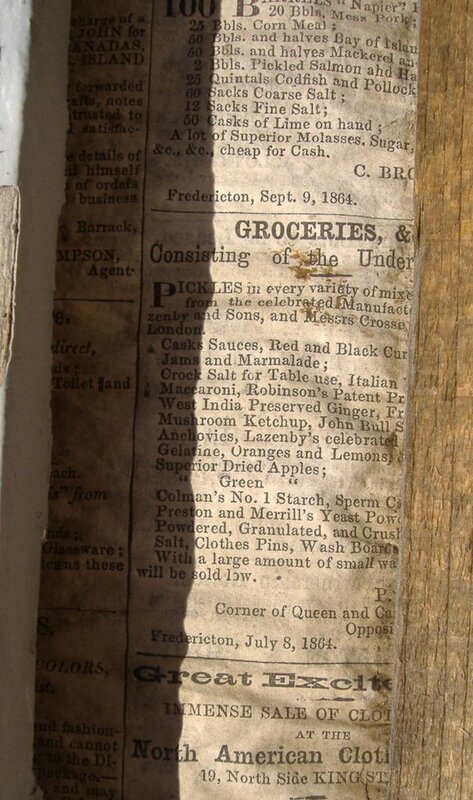 No fridge. No stove. Just two single beds with a wardrobe between them. A small table with student study lamp, two chairs, and two glasses. One "HOTEL" towel, folded, atop each bed's pillow. No toiletries. No radio or alarm clock. An arrangement of bottles, glue stick, and lamp on the mall table. The red wine is from Krušvac, Serbia (where I read in April). 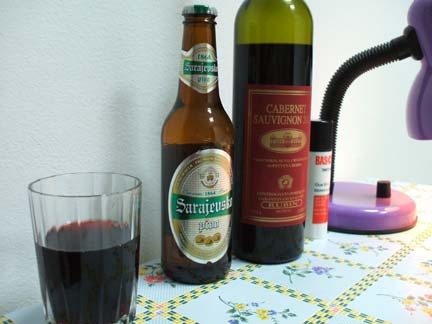 The beer, Sarajevsko, is a hops-flavoured premium lager that's existed since 1864. 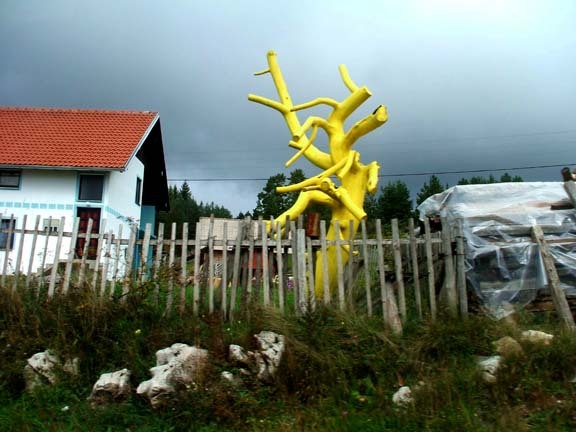 One from the road: Love this painted yellow tree trunk in a yard beside the M19 in the mountains. I think that I would like to collect the story of this tree . . . but that's not ever going to happen with me a mere passenger in a van full of university- or home-bound professors. A view from near the university buildings in Pale of a small section of the hills-mountains that surround this town. 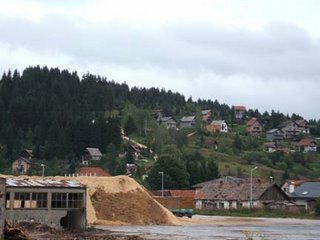 As the town is seeing new apartment and retail buildings pop up in fields and where other buildings existed, I suspect that the sawmill's days in the centar of Pale are numbered. 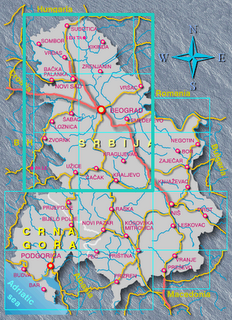 Pale is located in the autonomous Republika Srpska adjacent the larger (but not "large") Federation of Bosna i Hercegovina within the more complex nation state of Bosnia and Herzegovina. How the government works, I don't rightly know. Some or all of it is in the midst of an election campaign with a vote scheduled for sometime in Oktobar. After registering with the police (I was accompanied there by the English Department secretary, Vera, and the Filozofski Fakultet's lawyer who had to sign a legal form taking responsibilty for me) for a short-term permit, and then going through crazy office runaround in an Italian-build medical clinic (including a meeting with a cigarette-smoking doctor) I've applied to the Ministry of Labour (Republika Srpska or BiH I don't know) for a work licence to teach at the university. 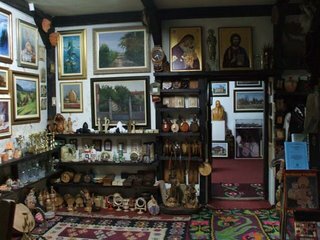 A part of the view inside a store in Pale that seems to specialize in Orthodox ikons, traditional stuff, and local landscape paintings. Haven't yet been inside but I do want a closer look at things seen here. Rain-wet fresh paprikas outside a store. They have these pale white-yellow peppers (that turn orange then red) rather than green bell peppers like we have in North America. 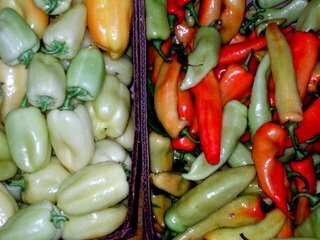 Hot paprikas / peppers on the right. But all might not be well. 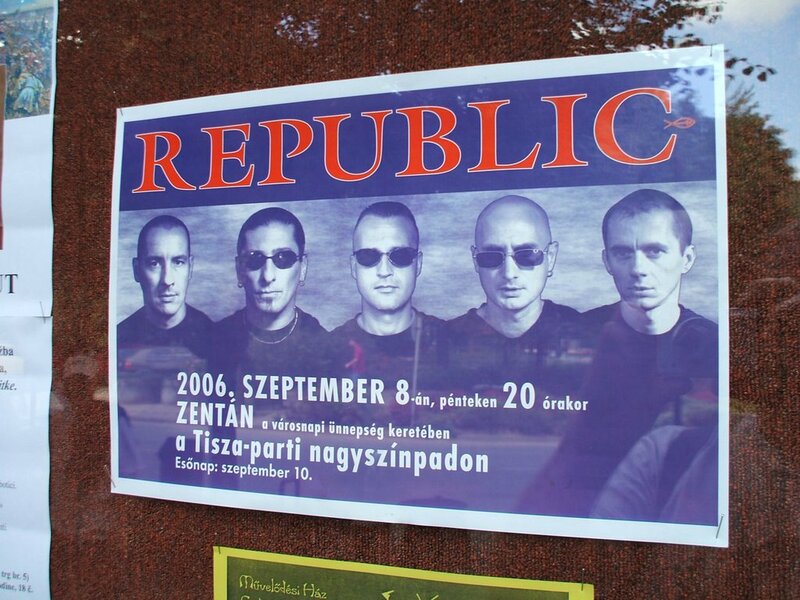 I found copies of this poster in Pale. It's a publication of the Salamander Task Force of EUFOR (the 1,500 peacekeepers stationed in BiH from France, Italy, Germany, Spain, Morocco and Albany). Believe it's mostly Italian forces based in Republika Srpska. Know that here are still issues of weapon caches, ammunition, and various types of nasty landmines and similar pressure-triggered devices. Would make for a dangerous form of extreme skiing to get caught by one of them on the wrong slope. This appears to be a warning of another hazzard in Pale. 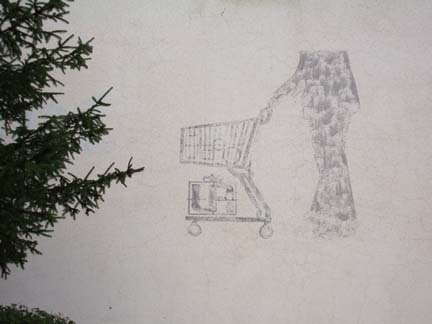 Seems to me, that this painted wall is a sign or cautional tale of what happens when one goes too deep in one's dependence on shopping and consumerism . . .
Today, I will travel to Bosnia for the first time since arriving in Eastern Europe just over three weeks ago. We're finally talking real terms at the university; have made an exchange of ideas, proposals. Classes start next monthfar later than expected and far later than Canadian universities start their autumn term. 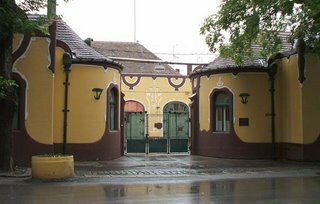 Half an hour from now I'll be walking to the Seventrans bus station here in Senta to buy a ticket for 480 dinar (about $8 CDN or 5.85€) to Novi Sad; get on the 12 noon bus. Zeljko, the Faculty's driver, is to meet me at the Novi Sad bus station on Bulevar Jase Tomica before or after picking up professor Koljevic at his apartman building for our drive west across the souther reach of the Hungarian plateau, or plain, and up into the mountains for the town of Pale. Accomodation will be on the top floor of the Filozofski fakultet buildingthe new one just opened this past school year. I was put up in a small hotel in April where I visited this university so I've no idea what to expect of these faculty provided accomodations. During the university year they also provide us with breakfast but other meals are out of pocket. I'm told that we'll even have internet access in the building. We shall see if I can blog from there and/or whether I should take my laptop there (or even have time to use it?) once classes commence. Viewed from the bridge over the Reka Tisa, this is one of the sets of grain silos in Senta. This one has a flour mill, Zitopronet Mlin (the same as Dover Mills on the waterfront in southend Halifax). The other set of grain silos is in the industrial park. I don't know if they're attached to another operation or unto themselves. 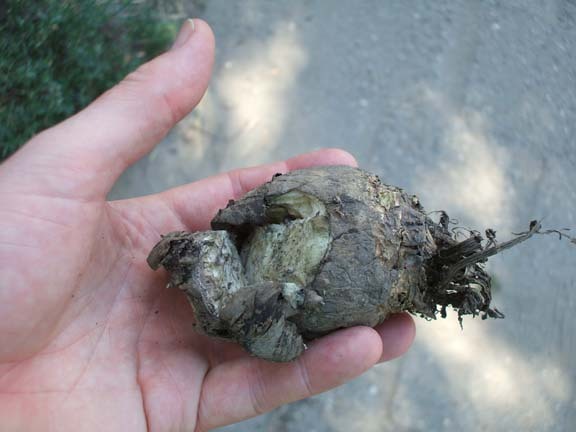 This is a sugar beet in my hand: rubbery, mealy, white flesh. It's one that bounced of a loaded high trailer behind a tractor. In Austria and elsewhere they make a wicked rum from the sugar beet, but here it's primarily a source of sugar and raw molasses. Alltech-Fermin is one of the largest companies in Senta. 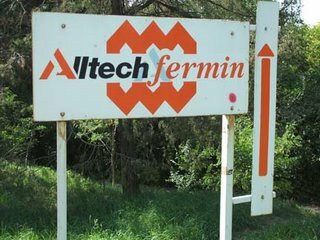 An American-run manufacturer of yeast-based products for animal feed and other purposes. They have a series of directional signs to the factory on all the major roads into Senta. 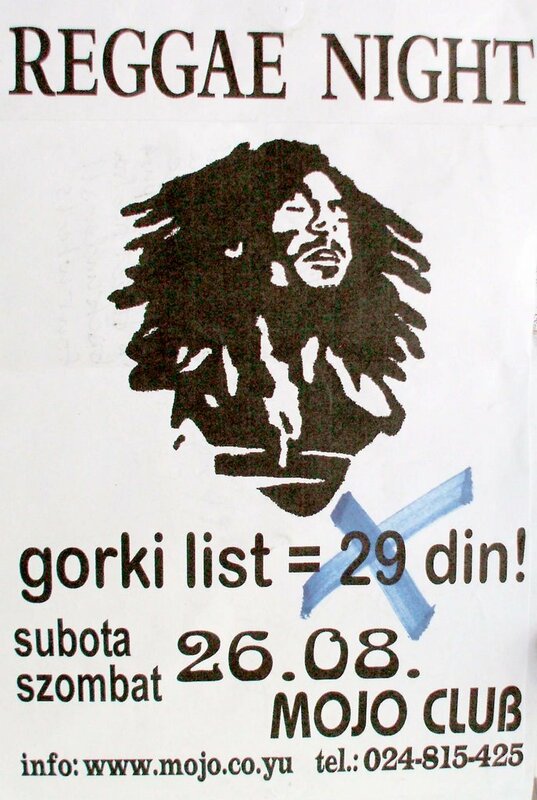 A faded and grafittied Senta sign on the edge of town, as soon as one crosses the reka Tisa from the territory of Choka. Finally, Saturday, the statue is revealed! 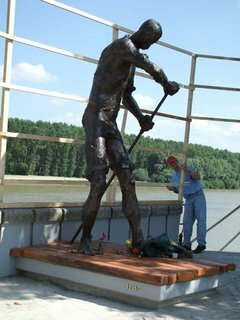 Definitely believe it's a riverman but need to get some Hungarian text translated to better understand what I've seeing . . .
On the the riverside road, just up from the statue, there were men in big capes and girls in some period's clothing. All with carrying carafs of wine and glases or short plastic cups. 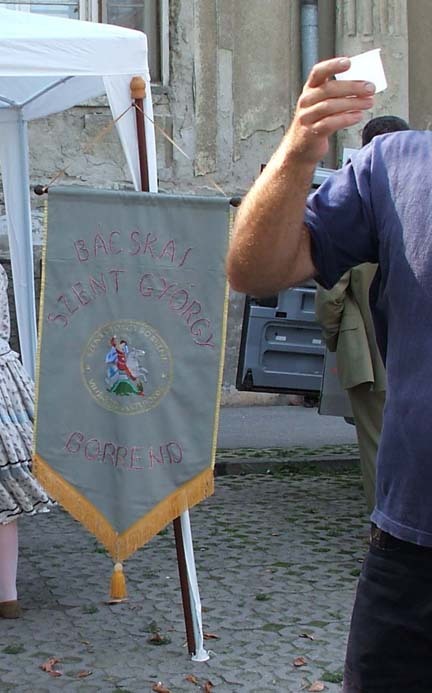 Their anchor was a special tent with this "Bacskai Szent György Borrend" banner and small kegs or barrels on the table. The men were posing for pictures with or for people sitted at the nighttime concert's beer tent tables. Everyone had wine. Even I was given a glass to be filled gratis. Days later, I've uncovered that this was a wine tasting [new wines likely, but I don't know for sure] by one of a network of wine brotherhoods or societies across Europe. Perhaps the wines were locally grown grapes pressed? 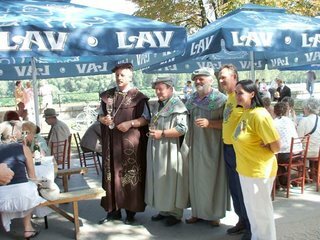 Here's a pic taken while three of the brotherhood were posed with two of the yellow T-shirt-wearing Friends of Senta Committee, for a photo taken by a man to my left. the cape-robes are elaborateespecially the embroidered grapes and vines. I've no idea what is on the medalions, but would suspect it's more of this wine-tasters association. Buddy in brown is likely the head. 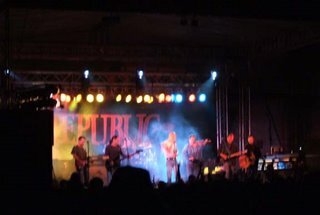 A Hungarian rock or Hungarian anthem band that appeared to be very well-known and well-loved by the crowd. A large crowd for the size of the town, thousands, it was. All ages: from babies in strollers and kids on dad's shoulders to teens in Exploited, Korn and System of a Down stirts and great-grandparents whose fashion stopped decades ago. 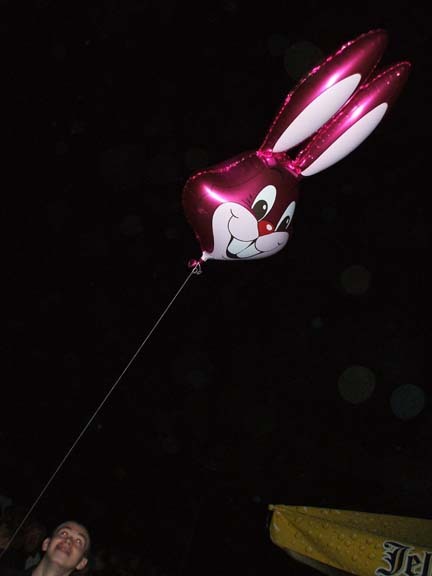 Several streets were closed off for beer tents and food & candy stands, grills, other vendors (the band had their own table-tent: CDs, scarves, pens, lightes, key fobs, shirts, hoodies, hats) including the near-requsite glo-stix and metallic heleium balloons. 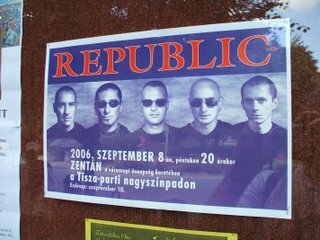 Matthew heard of this band when he was first in Hungary 14 years ago, but this is his first time seeing them perform. Like many a Canadian Celtic or Quebéc rock band they had a fiddle/violin in with all the electric guitars. They had a great many singalong songs, audience carrying the chorus with volume while dancing or waving scarves, even raising lighters . . . But all Hungarian in a town in Serbia . . . Hungarian and Serbian politicians in the wings . . . Above is one of my favourite photoes from within the riverside party concert crowd. This kid loves his balloon! We’ve designed the Side by Side Fall Workshop to give beginning and intermediate literary translators an opportunity to explore literary translation as a form of creative writing. The 25-hour workshop will include creative writing and translation exercises, group discussions, and literary readings and lectures by writers and literary translators. On Saturday, Sept. 30, to celebrate International Translation Day, there will be a one-day bilingual workshop in theatre. Application forms and details can be sent by e-mail. Fees include some lunches and snacks. There is a reduced rate for students and artists. 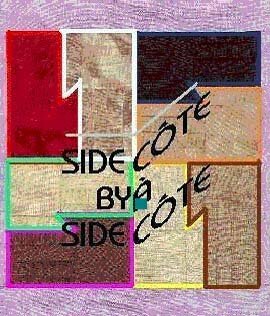 L’atelier d’automne Côte à Côte a été conçu et organisé par les éditions ellipse inc. dans le but d’offrir aux traducteurs et traductrices littéraires en début de carrière et en mi-carrière l’occasion de mettre en pratique les techniques d’écriture et de traduction pour réaliser des textes littéraires de tous genres. L’atelier consiste en 25 heures d’activités, d’exercices, et de discussions, ainsi que des tables rondes et des lectures organisées en collaboration avec des écrivain.e.s et des traducteur.trice.s de la région. L’atelier aura lieu pendant le festival Côte à Côte, qui se poursuivra jusqu’au 3 octobre 2006. Les langues d’enseignement seront l’anglais et le français. Le samedi 30 septembre, la Journée mondiale de la traduction, il y aura un atelier bilingue sur la création en théâtre pour les débutants. Les demandes et d’autres renseignements sont disponibles par l’Internet. Nous offrirons des conditions de paiement et des rabais intéressants aux étudiant.e.s, et aux artistes. 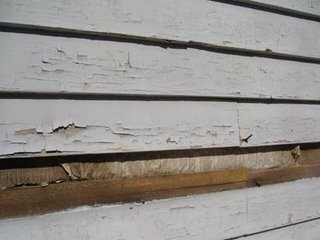 Les frais servent entre autres à défrayer le coût de certains dîners et collations. Before 11 AM, it's closed evry day. Not just locked but gated with a welded iron grill. When open, it's posted hours are until 2 AM (except Sunday & Monday till midnight). 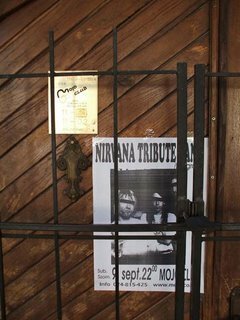 Tomorrow night, some of Zenta will be celebrating its 500 years of existence while others will be gathering in Mojo to hear and feel a Nirvana tribute band from Beograd. Inside is all dark wood festooned with stuff from their own past, and acquired from other bars, concerts and their patrons [a Picaroons beer coaster is going there as soon as I remember to take one]. There a pool table that gets covered on band/DJ nights for tabletop dancing. There's a British-style dartboard from a German bar that's never been used in Mojo else there'd be dart holes in other stuff on the wall. 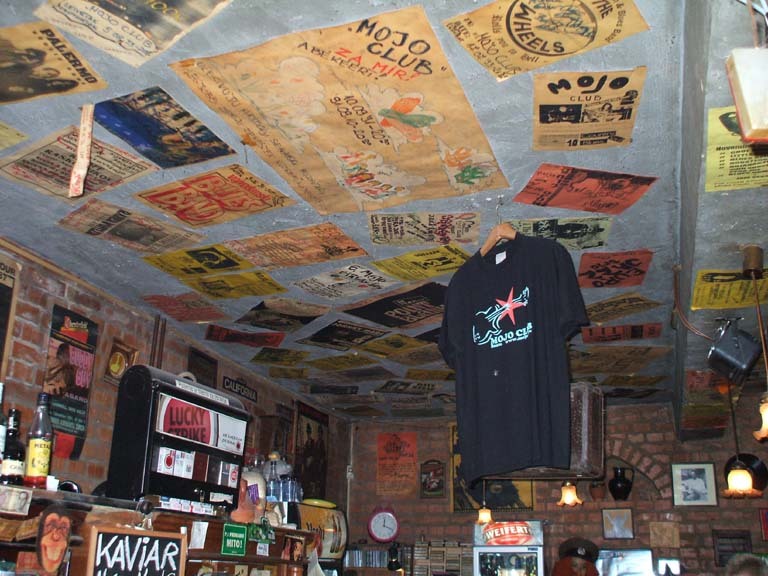 It's a two-story pub with an open balcony all around the top floor that's most often used as a dining area (pizza, spaggetti, lepinjea type of sandwich, chicken wings, etc.). There's a few skylights in the sloped open-beam ceiling. Turkish toilets onlya long way from the invention of Thomas Crapper in England and his successors. 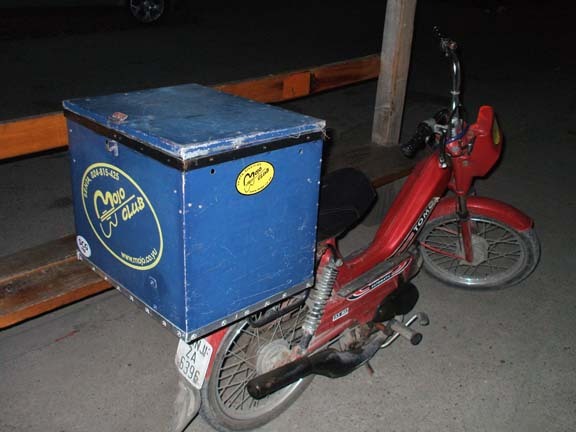 Takeout available for delivery on the back of a Tomas bike. This place is truly a local, a great one at that. Everyone from grandparents to grandchildern and dogs in one place. Kiara's vet showed up there last night not an hour after he'd administered the three-month needle. The plumber who worked on the dying clothes washer (inherited with house) hangs there. As does the maker of the cold-wrought iron shelving; the mason who tiled the bathroom; the friend who came with his lawnmover before the funeral party . . . it's almost as if you could say, "If they don't go to Mojo, they're not the right person to do something for or with me." Here's a view of some of the ceiling over the bar downstairs with the latest version of the club's t-shirt hanging above all. 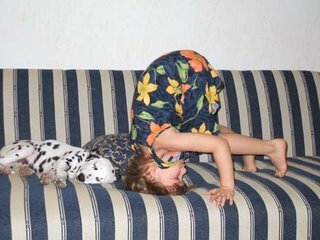 I still haven't made it to a live entertainment night (not so easy when one's partner has a 5-year old). Summer afternoons and night are great for sitting on the long bench at the converted sewing machine tables (mostly Singer bases, one Durkopp) on its narrow sidestreet. 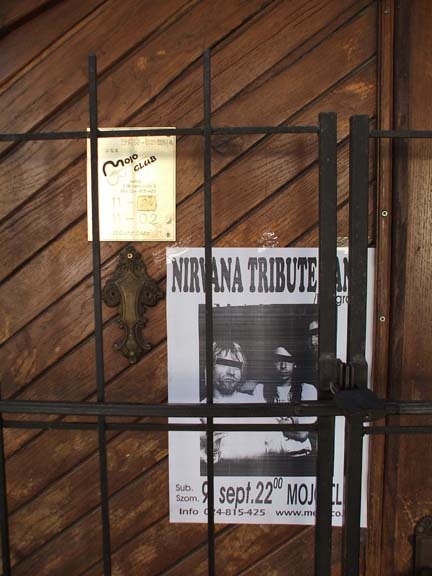 Plenty of converation, friendly people, cheap pivo (beer)60 dinar (about $1 Canadian) for a 0.5 litre bottle of Jelen or Lav. Jelena and I did hear some of the recent Reggae Night. It was all CD music (not live like Wednesday nights at The Taproom with Dub Antenna on stage). Last weekend was busy with DJ Fraser (from Hungary) playing till 5 AM Saturday and that night the band Plug In played with their cover of Red Hot Chili Peppers, Radiohead and more . . . Both nights were great, we've heard. Once Matthew's vinyl arrives from Portland, Oregon I suspect that mrtigerstripes will DJ some nights @ Mojo. sound: Bon Jovi "Something for the Pain"
Meanwhile, in Fredericton, New Brunswick that loaded date of 11 September will see a large artists eexibition opening. I'm in the show, but it's impossible for me to attend the opening. I'm so till not sure that celebration our art making is what we should be doing on that date, but it's not my decision, not my planning . . . just the conclusion to another arts project that I was happy to participate in. The house I'm living in used to be the servant quarters attached to a far larger mansion when it was build 150 or so years ago (so this brick and mortar Austro-Hungarian era mansion, with its freemason symbol still above the street entrance to the courtyard, with its large cherry trees, is as old as the City of Fredericton). This weekend, along with an annual hot air balloon festival, Senta will be celebrating its 500th anniversary. There's at least one new statue (still under wraps) erected overlooking the river Tisa. There will be other activities that I think I might want to see. I've heard, having reached this half-millenium mark, that Senta will now be declared a "royal city". Whose "royal" I don't know, and am not sure I want to know . . . Austrian, Yugoslav in exile, or? 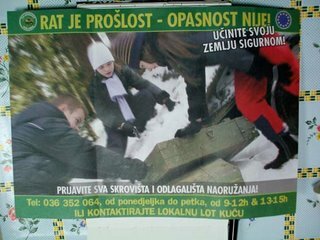 Weirdly (and annoying for some) all of the posters and stuff seen is only in Hungarian (not Austrian German), not in Serbian. The celebration happens this weekend because of another historic occurrence here . . . The Battle of Zenta or Battle of Senta, fought on September 11, 1697 just south of modern Serbian town of Senta (German: Zenta), on the east side of Tisa (Tisza), was a major engagement in the Great Turkish War (1683–1699) and one of most decisive defeats in Turkish history. 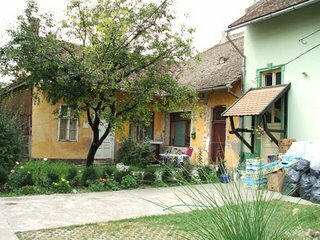 So, at least here in Senta-Zenta, 11 September has had a positive memory for many Austro-Hungarian descent locals for a great many years. There's been a monument for this battle and a museum that covers it and more (which I've yet to visit). Found this morning in the farmers' market, Senta, Serbia. Clearly a passport or similar identification card photo. Usually one alone is not sufficient. Just today I got a list of materials needed for an upcoming undertaking of mine and "2 photos" for ID purposes is on the list. 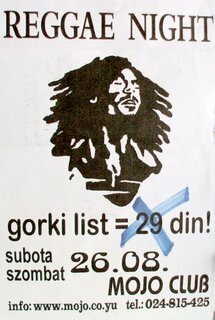 sound: Milapojka Youheed Ghastly Beyond Belief! The very beautiful Senta fire station one rainy day last week. 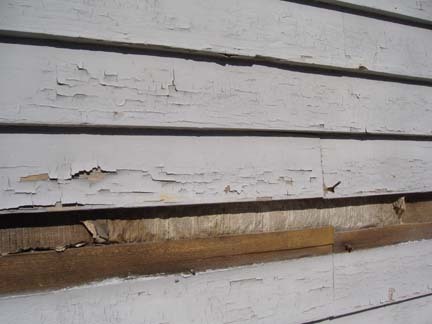 Number 52 is a project for a handyman capable of doing a serious fixer-upper. There's no building whatsoever behind this remaining street facade. It's been gone so long that a good-size tree has grown in the doorway. 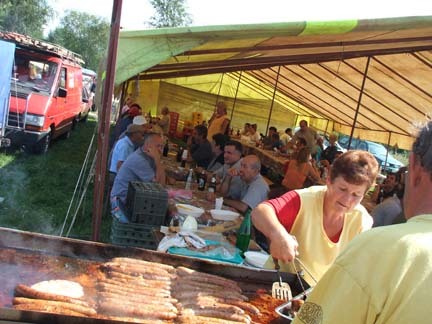 One of many grill tents at the first-Sunday-of-the-month open market in Senta. Everything is available there from live farm animals to furniture, used clothing, kiddie rides, candy, toy guns, footwear, secondhand equipment and tools and parts thereof, furniture, honey, secondhand armed force clothes, fruit and vegetables, sport fishing gear, firewood . . .
An exhausted Kiara and still lively Lara moment. Part of the Senta skyline in last night's sunset. There's not much riging above the treetops: a few church steeples, the top of city hall, the fire siren/communication tower. The riverside grain silos are out of frame downriver (to the left). 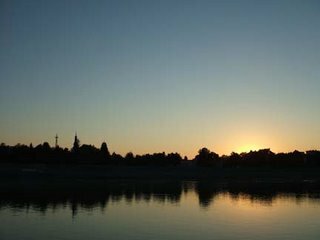 Sunset on/from the bridge over the river Tisa. Fredericton, New Brunswick from the air just after takeoff. 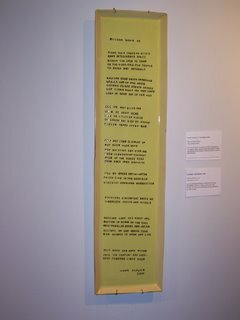 23 Aug 2006. 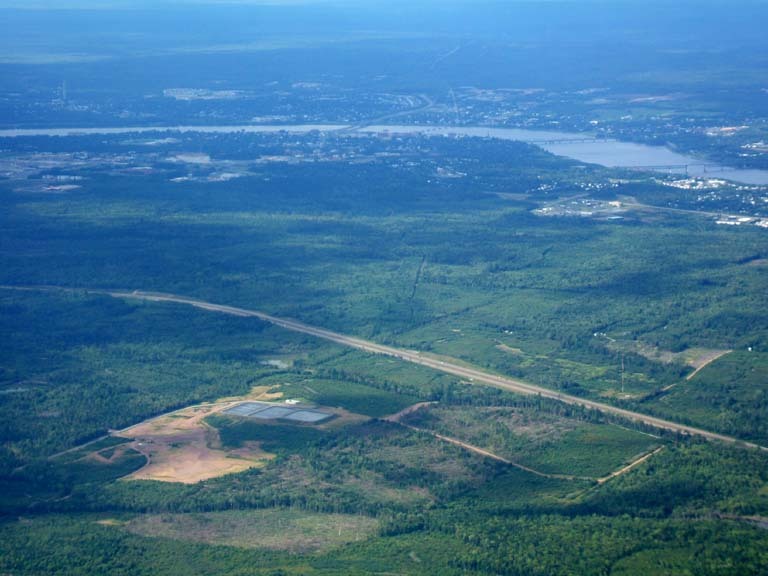 My last view of the city with my own eyes (though I have found a City of Fredericton live webcam, refreshing itself every 60 seconds, on the Weather Network site which shows riverside trail and part of the too-grandly named Port of Fredericton with the "SS Bradside" tied-up in clear view. 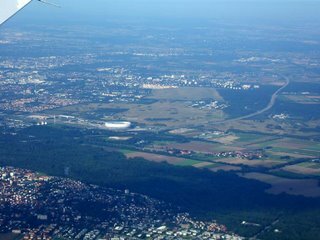 Munich, with some Olympic facilities visible, shortly after takeoff in a Canadair-built jet as we're about to turn and head over of the Alps for Budapest. 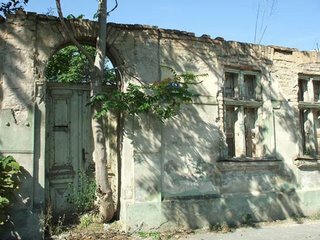 24 Aug 2006. 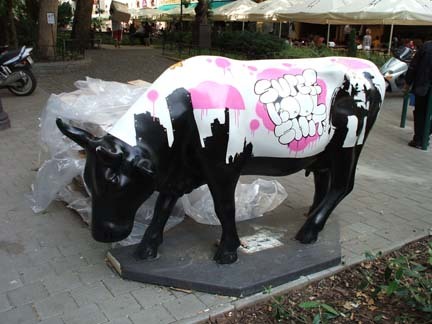 The city-wide, artist-painted moulded animal craze continues with cattle throughout sektors of downtown Budapest. 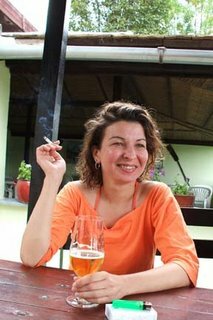 Happy Jelena on Saturday afternoon in the Csarda caffe-bar with friends on the bank of the Tisa just upriver from Senta. 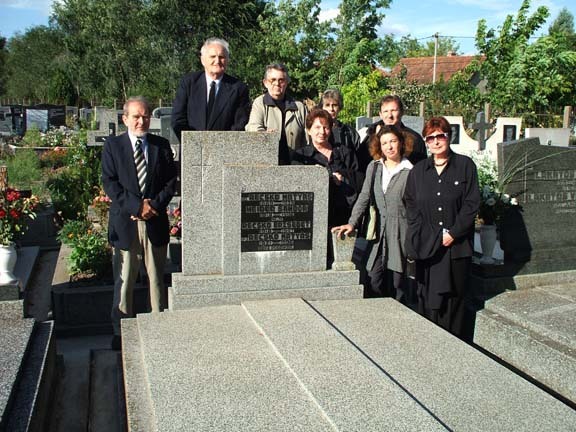 Not the way I'd imagined spending one of my birthdays but, going with the flow, I'd spent the day of, and the evening before, with members of Jelena's extended family gathered in Senta from Beograd, Sarajevo, Banja Luka, and elsewhere for the funeral for Vela Neider. Vela was Jelena's uncle, and Eva's brother. Jelen's parents, Eva and David, came to stay here at her place, so family and friends visited here. I was party to it all, even while Jelena was at work on Tuesday. It involved much brandy, pivo, vino, food, and conversation mostly in Serbia with some French and a very little German, Russian and English. Afterwards, I was asked to take a Neider family photo at their grandparents' gravestone.